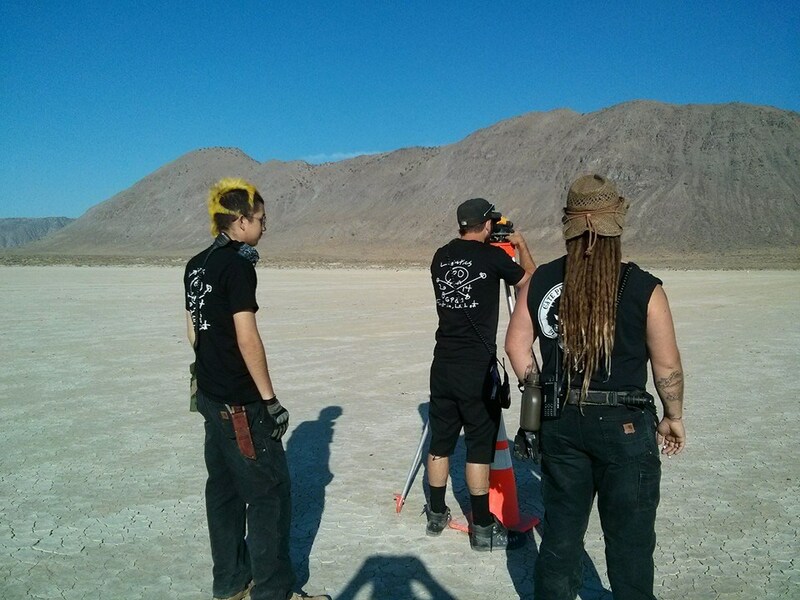 Wyatt (with the yellow lizard hair) and the survey crew. 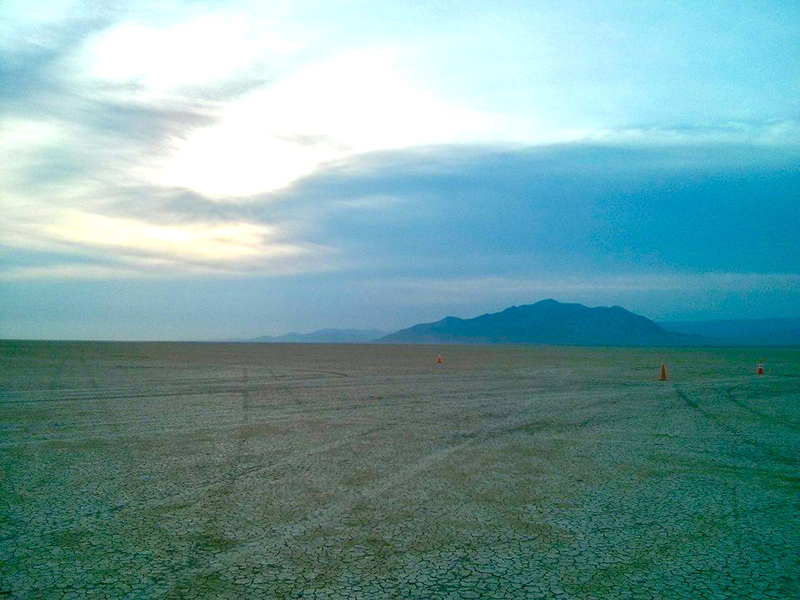 We are in the home stretch now… Burning Man begins in less than three weeks. A lot has to happen in that short period of time. DPW and Gate crews are already on playa building Black Rock City, the roads and perimeters. My sister Clarity and my nephew Wyatt (aka Shirley) are already there building Gate Road. “Fence Day” begins tomorrow, when crews begin building the fence around Black Rock City and the entry road. Many more folks will be arriving this weekend, to join the build crews, begin art projects and to view the Perseids Meteor Shower. 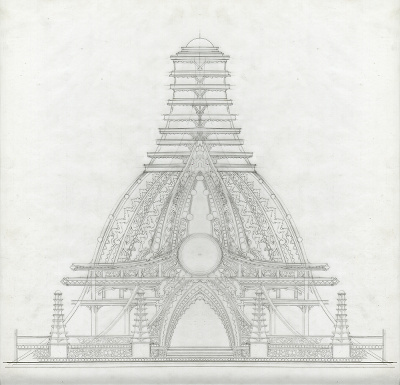 The Temple of Grace, designed by David Best. On Friday, Jonathan, Dexter, Eli and I are headed up to Gerlach to do our part. As part of the Temple Crew, Jonathan is driving up with a caravan to deliver the Temple and begin it’s installation. Eli is working on an Earth Guardian art car with our pal Dave Cooper. Dexter is coming along to help out where he can. I’ll be installing my Steampunk and playa-wear collection at the Friends of Black Rock Store in Gerlach. I am donating 50% of the proceeds to Friends of Black Rock non-profit organization, who educate visitors about the National Conservation Area as well as mobilize “boots on the ground” conservation projects and citizen science projects year round. Gerlach has no general store. The store in Empire is several miles away and doesn’t stock everything (but always have plenty of PBR on hand!). So… I’m also stocking the Friends of Black Rock with survival supplies like playa goggles, hats, boots, socks, face masks, Dr. Bronner’s soap, sunscreen, aloe and work gloves. These items are vital for the crews who spend several weeks on the playa and in Gerlach. 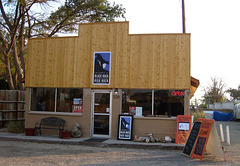 When you pass through Gerlach on you way to Black Rock City, stop in at the Friends of Black Rock Visitors Center & Store, where you’ll also find maps, books, lip balm and locally-made lotions and soaps. The shop is located at 320 Main Street, towards the far end of town on the left. Don’t forget, you can also buy your drinking water in Gerlach, which supports the local community AND saves you from having to haul all your water up the mountain. If you plan to spend time in Gerlach, consider volunteering at Gerlach Water sales, you’ll be thanked with free water. Visit Playa on Tap for details. I’ll keep updating you all on the progress of Black Rock City so stay tuned. Awesome! You manage to bring art and earth together in such a heartful and creative way.